There are several treatment options when you lose a tooth / teeth. Dental implants can restore a single tooth without damaging the teeth on either side or restore the whole mouth with bridgework. Loose dentures can also be stabilised with implants to help prevent them from moving around when eating and speaking. 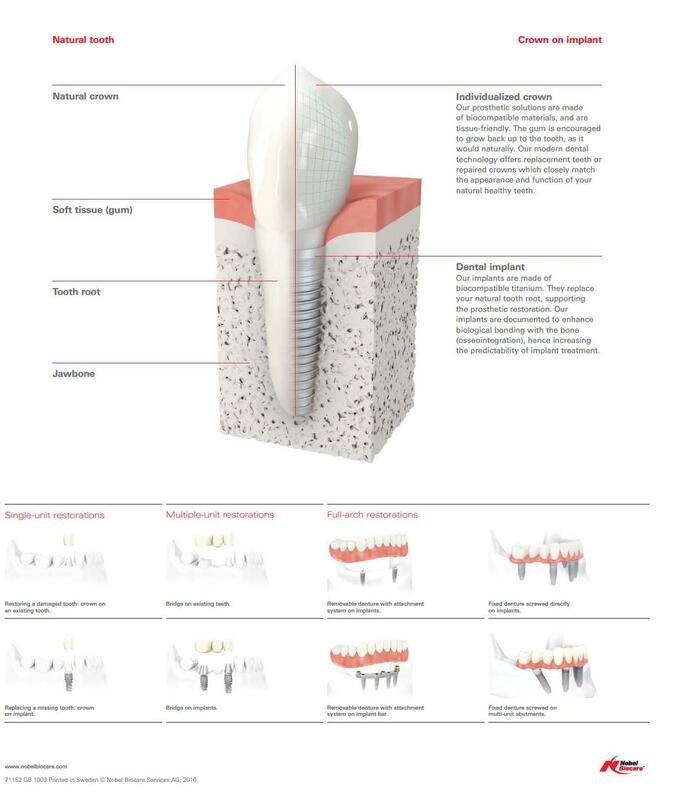 A dental implant is a small titanium screw that serves as the replacement for the root portion of a missing natural tooth. Dental implants can be placed in either the upper or lower jaws. Due to the biocompatible properties of titanium, a dental implant fuses with the bone and becomes a good anchor for the replacement tooth. With the latest treatment planning software available from Nobel Biocare, Nobel Clinician, we can digitally place implants on a 3D scan of your jaw so you can see a digital representation of the finished result and be given an accurate quote for your implants before any treatment has begun. It also allows clear communication between our Australian Dental Technicians and any other specialists involved in your plan. If you would like to book an appointment to discuss dental implants call us on (02) 9477 1191 or complete the online contact form.